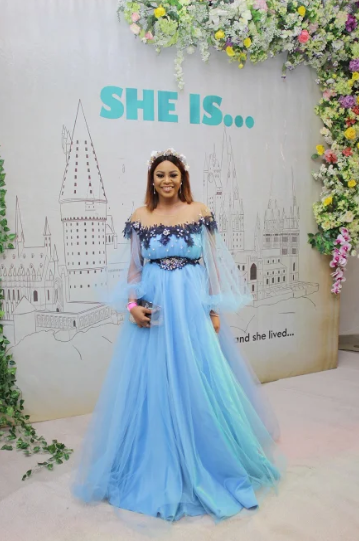 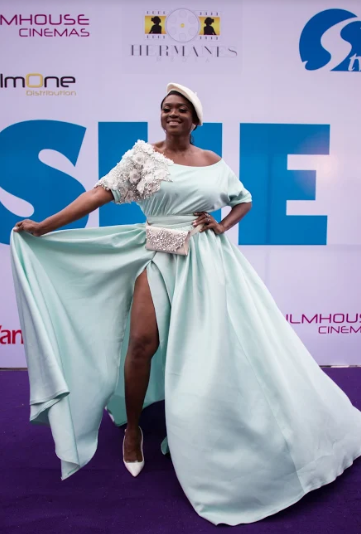 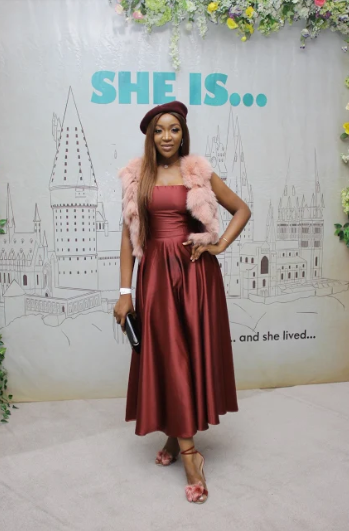 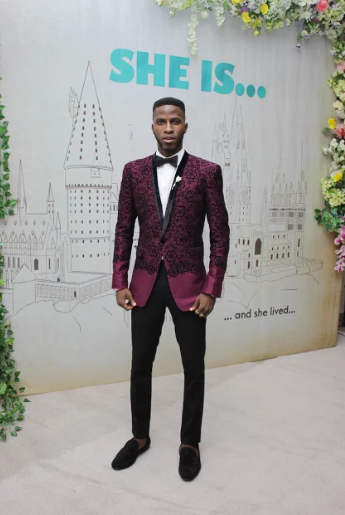 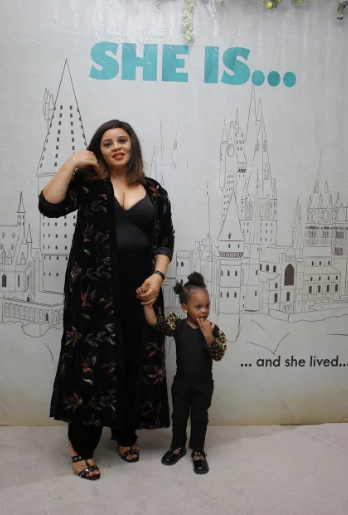 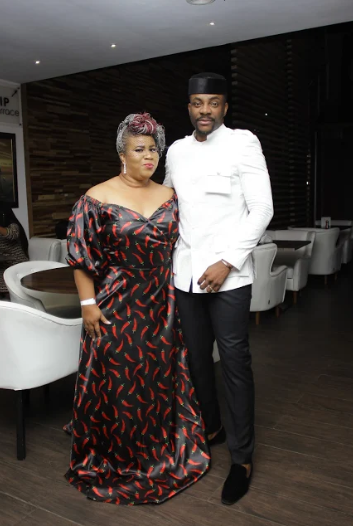 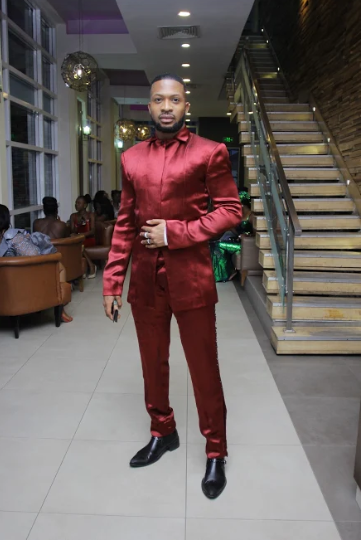 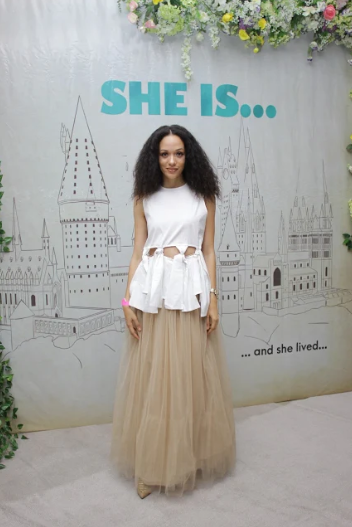 It was an evening of glitz and glamour at Filmhouse Lekki, on March 10th, 2019, as celebrities and players in the Nigerian film industry came out for the premiere of ’She Is’. 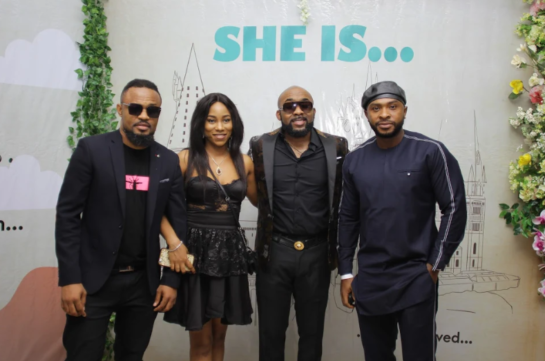 ‘She Is’, produced by Waje and Omawumi, co-founders of recently established Hermanes Media is the maiden project from the media firm. 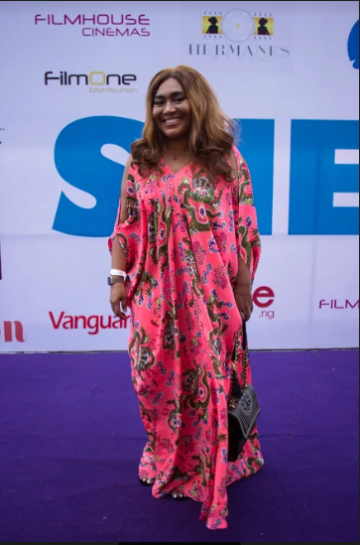 The film tackles a number of personal and societal issues women have to deal with in today’s world, and stars seasoned actors like Somekele Ilyamah-Idhalamah, Desmond Elliot, and Segun Arinze, to name a few. 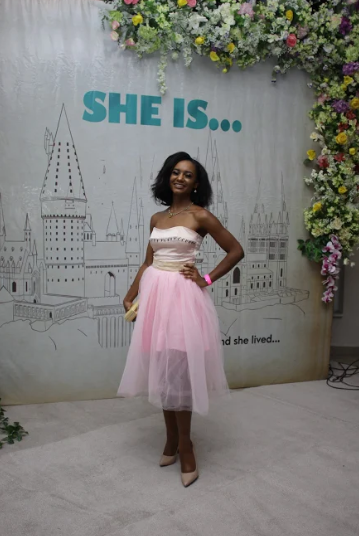 Inspired by the movie’s plot, the theme of the evening was ’modern-day fairy tale’. 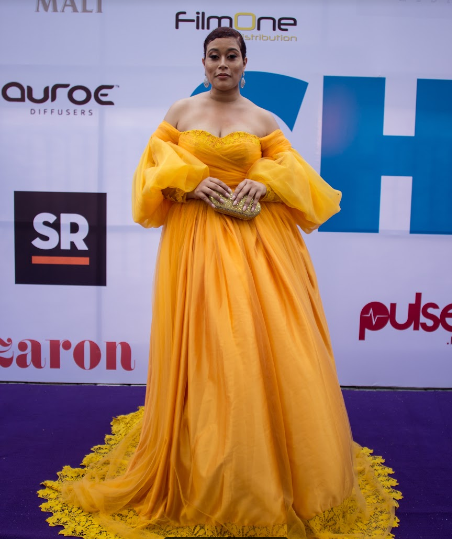 Guests showed up dressed to the nines in designer ball gowns, whimsical dresses, and flamboyant suits, dazzling the red carpet in an array of colors. 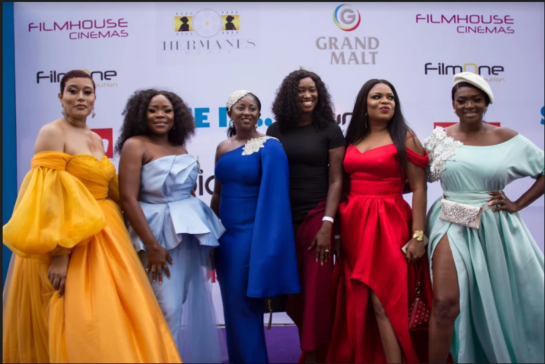 Some celebrities who came out to support Waje and Omawumi are Bovi, Ebuka, Seyi law, Frank Donga, Chigurl, Toke Makinwa, Banky W, Tobi Bakare, Alex Unusual, Ifuenada, Osas, Mochedah, Aduni Ade, and Funlola Aofiyebi-Raimi, to name a few. 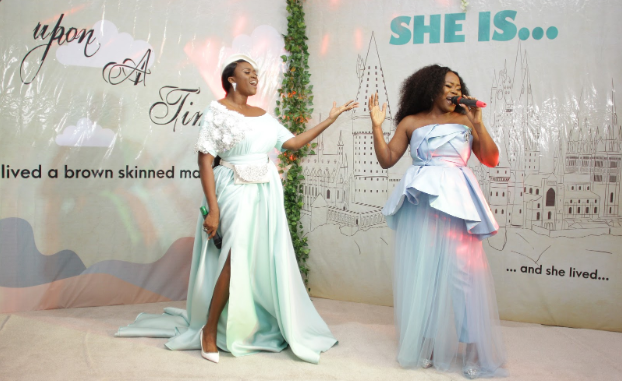 Before the movie started, guests enjoyed a special debut performance of the movie’s title soundtrack single “She Is” by Waje and Omawumi. 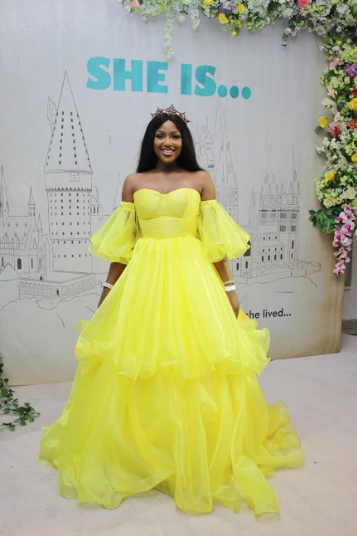 The song which was being heard for the first time was brilliantly received with shouts of appreciation and rousing applause by the guests. 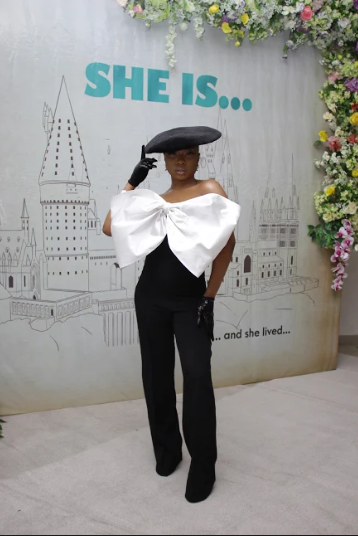 ’She Is’ will be released for public viewing on March 22nd, 2019*.